It is not uncommon to see lists of semantically equivalent phrases in pedagogical materials. However, empirical investigations of the effect of synonymous phrase learning on vocabulary development are rarely attempted. The current study promotes computer-assisted synonymous phrase learning by introducing PREFER, a corpus-based paraphrasing system. The organized information including synonymous phrases, Chinese translations, usage patterns, and example sentences would help EFL learners develop vocabulary knowledge in terms of form, meaning, and use. The performances of 49 EFL first-year college students were evaluated using a 15-set multi-select test. The results showed that students consulting PREFER made greater progress than those consulting existing online tools. The improvements of the less proficient students were especially significant, which was to be expected. More importantly, the analyses of learners' errors indicated that their learning difficulties primarily resulted from the lack of attention to word form and the function words (i.e., word form and use) while learning vocabulary. 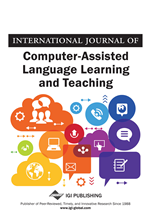 This section first describes the theoretical perspectives with regard to vocabulary knowledge and vocabulary learning processes, and then proceeds with a review of approaches to vocabulary learning, including learning of synonyms and instructions of formulaic sequences, which are specifically related to this study.